This year's IFA in Berlin might not be over yet, but all the major announcements have been made. We can't say it was the most exciting of the shows but some manufacturers there was still some hot hardware for us. 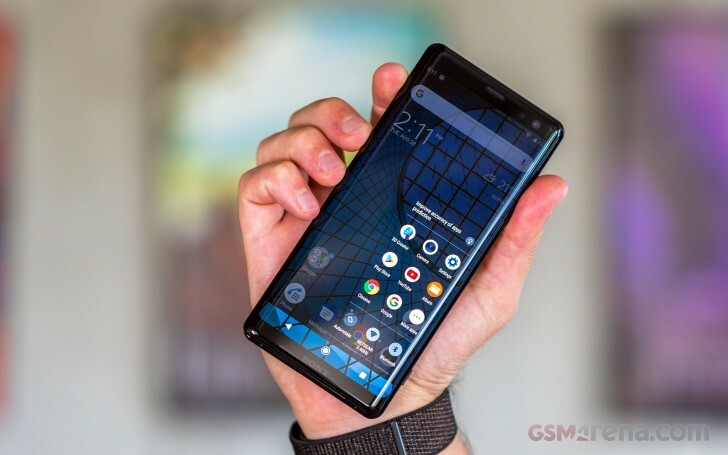 As per tradition, Sony unveiled its H2 flagship at IFA and the Xperia XZ3 is more than a refresh of the Xperia XZ2 that was introduced back in April. It has a curved OLED screen like no other Xperia phone and it's the company's first QHD+ display as well. It seems like Sony is trying to tackle things a bit differently this time around by introducing new features and extended functionality on the curved P-OLED screen. The rear camera is identical to the previous generation, but packs updated software and should produce better images. And hey, it runs Android 9.0 Pie out of the box, making it the first of its kind. Plus, the new color options, like Forest Green and Bordeaux Red are pretty awesome. When talking about Sony at this year's IFA, we can't fail to mention the new addition to the successful Sony noise-cancelling headphone lineup. 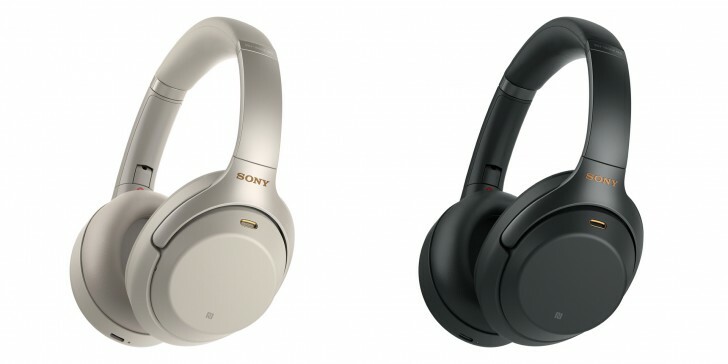 The new Sony WH-1000XM3 have a dedicated noise-cancelling processor, are lighter than their predecessor, have re-designed earcups and introduce fast charging over the USB-C port. Plenty of new features to look forward to. 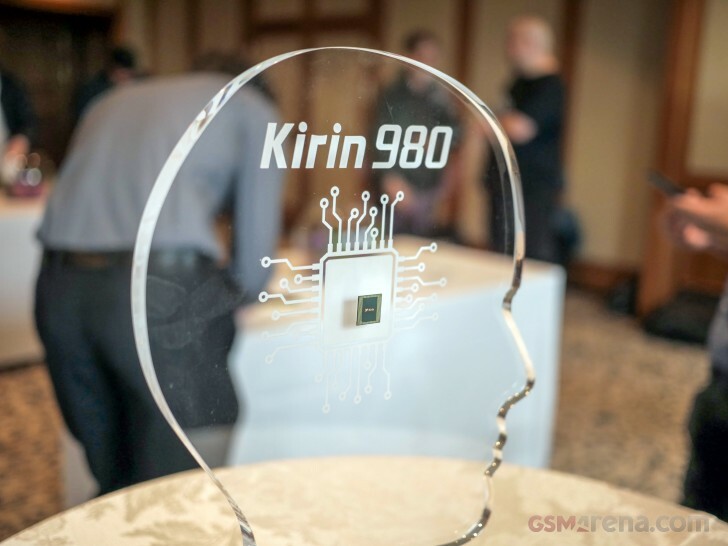 The company used the event to formally unveil Mate 20 Lite and it announced its next-generation chipset - the HiSilicon Kirin 980. It's built on TSMC's 7nm node and is the first to support LPDDR4X RAM and the first to have dual NPU co-processor. The impressive spces sheet continues with dual ISPs, Cortex-A76 CPU cores, a Mali-G76 GPU and a Cat.21 modem, capable of up to 1.4Gbps download speeds over 4G LTE. The other part of the show included a new Alexa speaker called AI Cube, a GPS tracker and new Huawei P20 and P20 Pro color variants including a leather-skinned P20 Pro and updated memory configurations. Huawei's keynote ended with an official confirmation about the Mate 20-series - they will come with the Kirin 980 chipset - as expected - and will be officially announced in London on October 16. Although most of us were expecting the announcement of the Honor Note 10 and the Honor Play for the global market, the company released only the latter, but it compensated by teasing the successor to the Honor Magic that we saw two years ago. 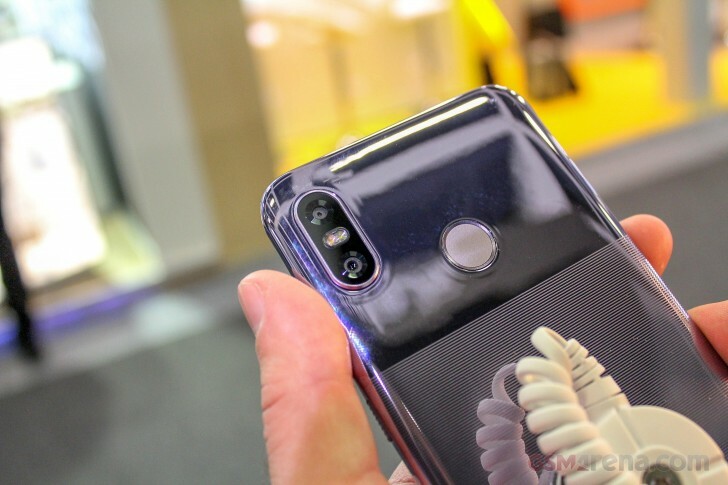 The feature-packed follow-up seems quite exciting as it will come with slide-out cameras, fast 40W Magic Charge and nearly bezel-less display. The unit showcased on stage seemed like a really early engineering sample because its slider was manually operated, but with the release promised for December, more finished units are just around the corner. HTC introduced its beautiful new U12 Life smartphone with dual finish back (similar to the Pixel lineup) and typical mid-range specs. LG introduced unexpected members of the G7 lineup - the G7 One and G7 Fit. 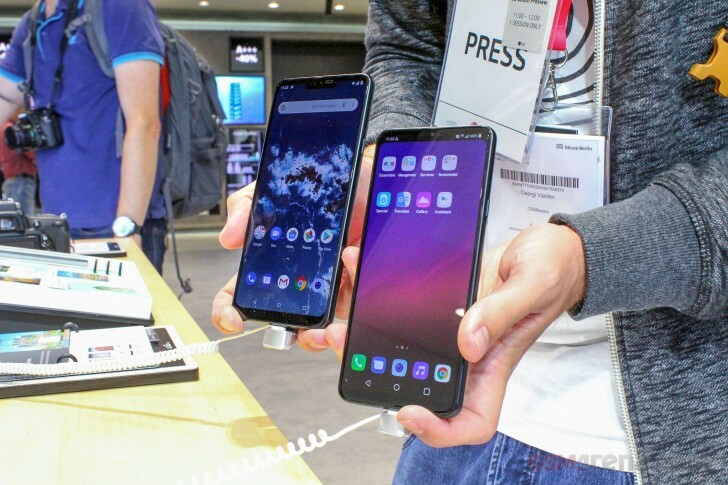 Both smartphones are pretty similar to the original LG G7 ThinQ from the front but are actually sitting much lower in the pecking order. The G7 One, for instance, is an Android One-powered smartphone sporting a Snapdragon 835. Fun fact: it's the first G-branded handset from the company to sport this SoC. Coming with a price tag lower than the original G7's, the One aims to appeal to the stock Android fans out there. The G7 Fit, on the other hand, is a fundamentally odd handset with a Snapdragon 821 on board and once again, a flagship-class screen like the standard G7 ThinQ. Business users, rejoice! 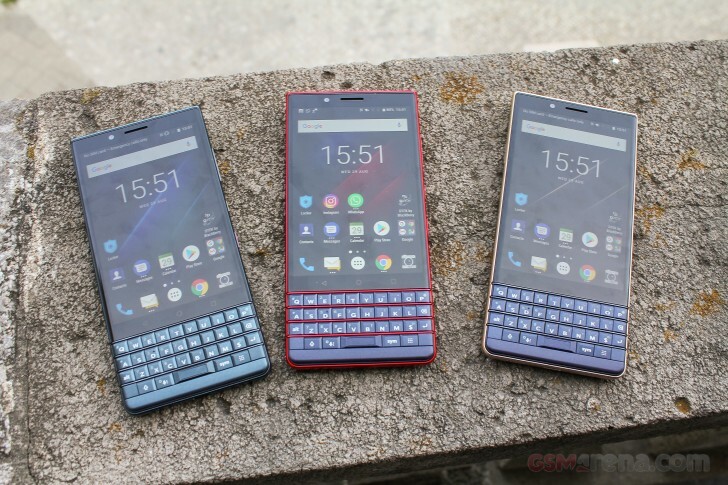 BlackBerry is back with a new, much more affordable Key2 variant - the Key2 LE. It's almost as if the OEM heard the users' and reviewers' complaints about the price point of the original Key2 and decided to give the world mostly the same handset with slightly toned-down chipset to fit the budget. And they did it nicely. Starting at just $399 for the standard version with 4GB/32GB memory configuration and $449 for the 64GB model, the Key2 LE brings along almost everything we liked so much about the original version, including the keyboard. It's also the first BlackBerry smartphone since 2014 to come in a color that's not silver or black. The Atomic color, for example, is just great. 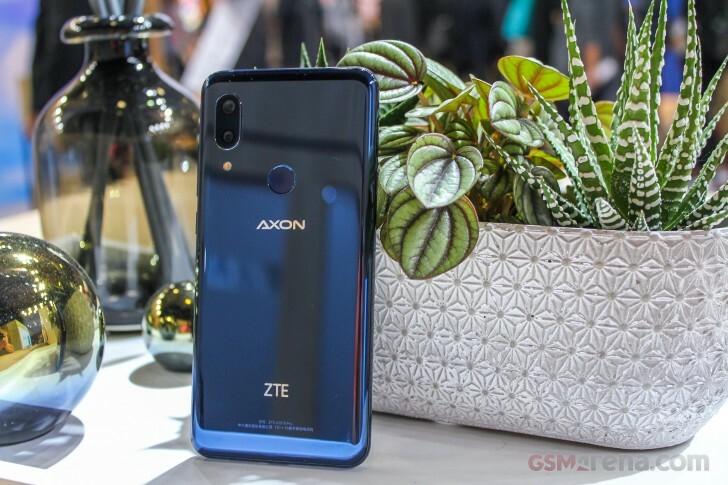 One of the more interesting devices to come at IFA this year is the ZTE Axon 9 Pro. A flagship running stock Android and packing a huge 4,000 mAh battery. Among all these Chinese, heavy-skinned ROMs running on today's flagship smartphones, the Axon 9 Pro feels like a breath of fresh air. Sure, it still costs around €650, but the device has a lot to offer in return including a top-notch Snapdragon 845 chipset, AMOLED screen with 1080 x 2248 pixel resolution and a capable dual camera setup on the back. We can expect the device to pop up in Germany first, followed by other European countries and later on in Asia. And that's all folks. With Samsung, Huawei and a few others skipping on this year's IFA, it wasn't the most action packed in the past few years, but on the positive sides that means we have a bunch of other events to look forward to this Fall. I wondder when Nokia 10 with 5 camera setup will be released.